Capitals' Evgeny Kuznetsov on being a top-5 player: "I don't give a sh*t"
A great answer for a silly question. 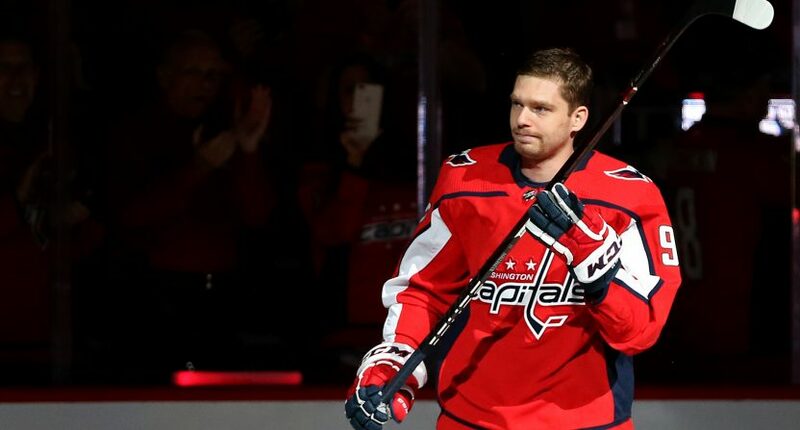 Washington Capitals forward Evgeny Kuznetsov is off to a great start in 2018-19, scoring three goals and four assists for seven total points in his first three games. His hot start follows a 2017-18 campaign that saw him score 27 goals and 56 assists. With his offensive explosion, one reporter decided to ask Kuznetsov if he thinks he’s a top-5 player in the NHL. His answer was pure gold. Honestly, that was a pretty silly question. Even if Kuznetsov thought he was among the league’s best, he’d sound pretty arrogant if he answered affirmatively. Instead, he offered one of the best quotes of the young season. This is the type of answer you’d hope to hear from a player on a team that just won the Stanley Cup. Their goal is to become back-to-back winners, not worry about personal rankings. So, now that we know Kuznetsov’s thoughts, do we think he is a top-5 player in the NHL? Not yet. There’s no doubting that his strong offensive season last year and strong start this year are impressive, but he’s not in the same category as a Connor McDavid, Evgeni Malkin or many of the other 90-100 point players from last season. Teammate Alex Ovechkin tallied 22 more goals that Kuznetsov last season (he had 49 total), so you can make the argument that Kuznetsov isn’t even the best on his team, let alone in the league’s top five. While we’re not sold on Kuznetsov being one of the league’s true elite just yet, he did provide what will be one of the top-5 quotes of 2018-19.